Chris VerPlanck, in partnership with Tim Kelley, of Tim Kelley Consulting, and Al Williams of the African American Historical Society, will soon begin working on a Citywide Historic Context Statement for San Francisco's African American community. 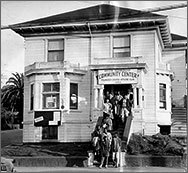 This project, which is funded by the Preservation Fund Committee and administered by the San Francisco Planning Department, will explore the evolution of the city's African American population from Spanish settlement to the present day, and it will identify properties that commemorate aspects of this important history. The project involves extensive community outreach, and our work will be reviewed by a panel of experts in African American history, including Albert Broussard (author of Black San Francisco) and Carson Anderson, as well as Mike Buhler, Bob Cherny, Courtney Damkroger, Donna Graves, and Rick Moss. Chris VerPlanck was asked by San Francisco Opera to write a history of the Opera House to commemorate its 80th birthday. The article, which was published in the San Francisco Opera's 2012-13 Encore program, provides a brief history of the San Francisco Opera and its long search for a home. The Opera House, one of the World's finest, is a tour de force of Renaissance Revival and Art Deco architecture designed jointly by Arthur Brown, Jr. and G. Albert Lansburgh. It opened on October 15, 1932 with Giacomo Puccini's Tosca. 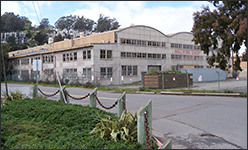 The City of Sausalito has recently hired VerPlanck Historic Preservation Consulting to prepare a National Register nomination for Building 11, the former Marinship Machine Shop, in the former Marinship shipyard complex, in North Sausalito. The Machine Shop was constructed in 1942 as part of Marinship's outfitting zone, where Liberty ships and tankers would be "outfitted" with furnishings, machinery, masts, booms, and decking after being launched. The Machine Shop, which now stands vacant, is the best-preserved of all the remaining former Marinship buildings. 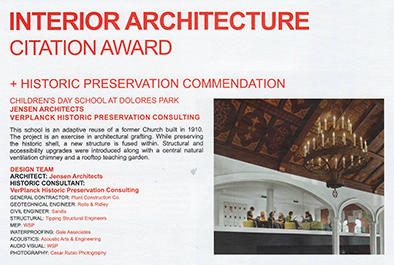 It belongs to the Veterans' Administration, which plans to rehabilitate the building for office and clinic uses.